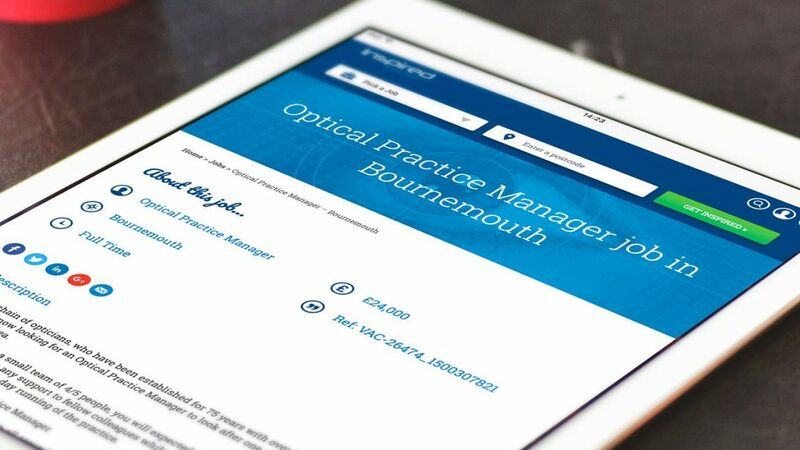 The company supplies high level optometrists and staff to some leading opticians, including Specsavers, Boots, Asda and Vision Express, as well as many more smaller independent opticians. 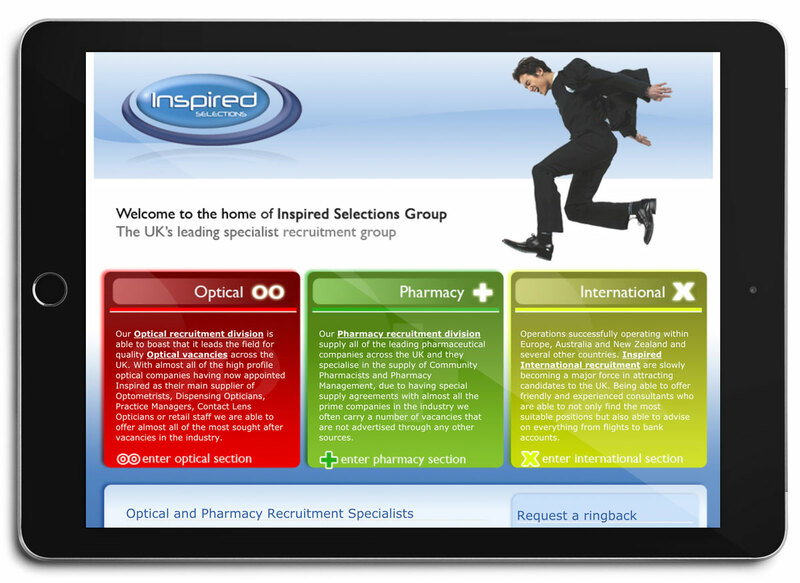 Inspired Selections have always been the main player in optical recruitment, so when the chance came to work with them to produce their new job search and application website, we leapt at the chance. The website needed rebuilding from the ground up, giving us the chance to add lots of fresh ideas and functionality. 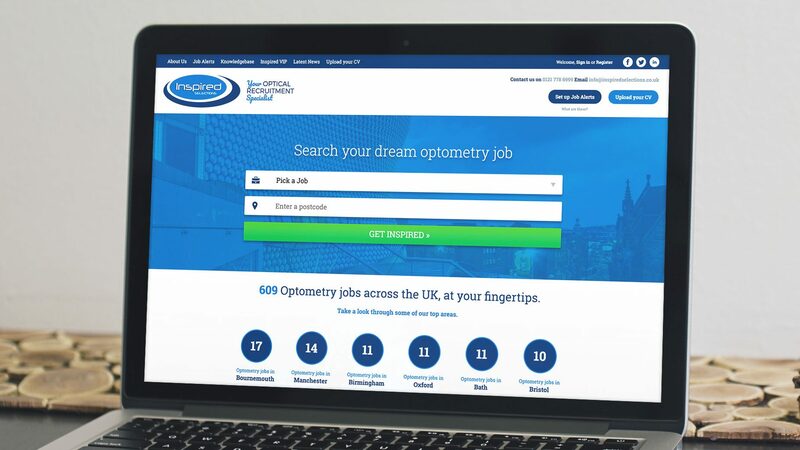 As well as a fresh approach to the company brand through a modernised website design, we added a more refined job search facility to the website, allowing candidates the opportunity to search with more control. From the homepage a simplified opening search banner offers website users a quick way to begin a job search. When results are presented candidates can then fine tune results using search filter functionality. 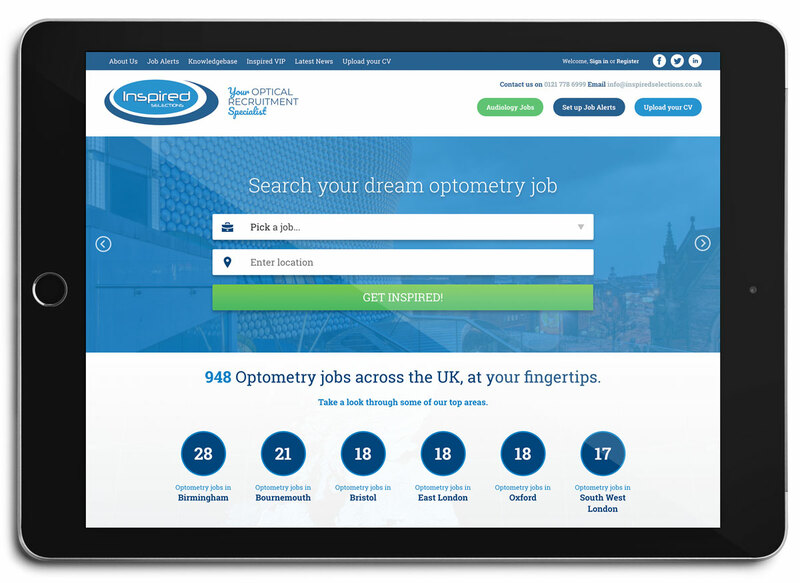 From there candidates can click through to view more information or can submit a quick apply, again offering a time conscious approach to the whole process. The website also offers a knowledgebase area, where Inspired Selections recruiters can draw upon their experience and offer up advice and guidance to candidates, turning the website into a valuable tool, even after job submissions have been made. Account creation and job alert functionality was also introduced to improve candidate usability. Creating an account and configuring job alerts allows for tailored email notifications to be sent when jobs in their chosen discipline become available. These notifications are managed by the candidate themselves and can be edited to include job disciplines and locations to suit the candidate. 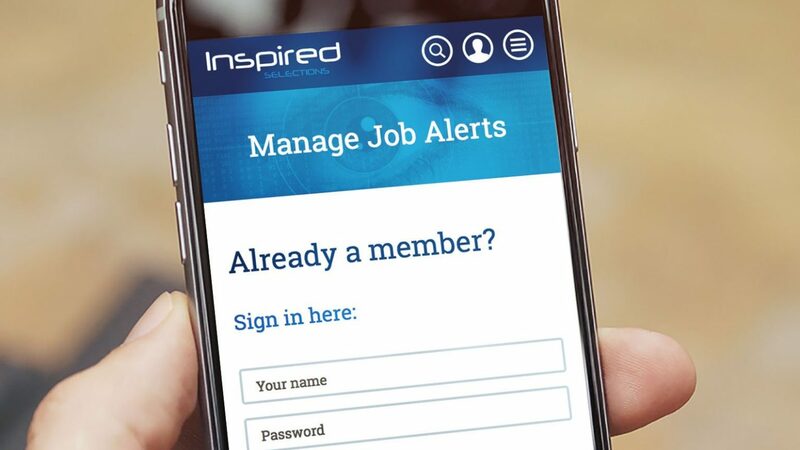 Job alert notifications can be configured to be sent daily, weekly or fortnightly.